Lansing, IL - The Kolo Sestara, Circle of Serbian Sisters Kneginja Zorica, of the St. Archangel Michael Serbian Orthodox Church in Lansing celebrated their Krsna Slava and 75th anniversary on Sunday, August 30, 2009. 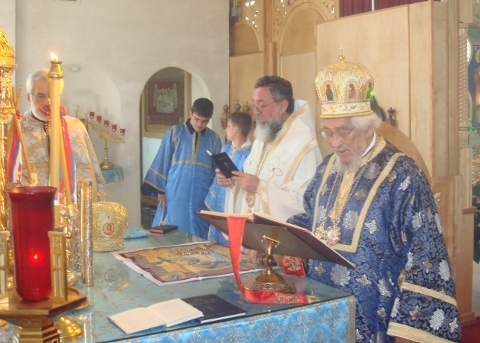 Divine Liturgy was served by His Grace Bishop Longin of New Gracanica and Midwestern America and His Eminence Metropolitan Christopher of Libertyville-Chicago, accompanied by the parish priest V. Rev. Dr. Milos Vesin. 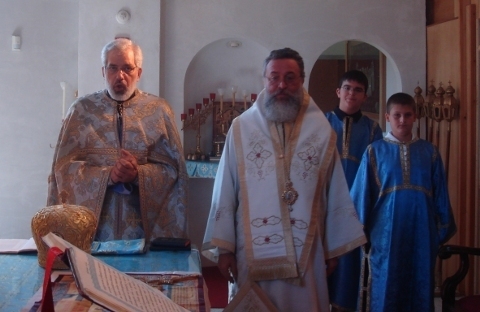 After the Divine Liturgy everyone attended a fine banquet prepared by the Kneginja Zorica Kolo. All the speakers expressed their joy at receiving Bishop Longin for the first time as their local diocesan bishop.